Dr. Jeff, a top graduate of his class at the Atlantic Institute of Oriental Medicine in Fort Lauderdale, Florida is a state licensed and nationally board certified Diplomate of Oriental Medicine by the NCCAOM. 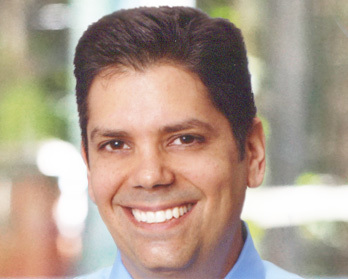 In addition to extensive training in Traditional Chinese Medicine, Dr. Jeff holds a Master’s Degree in Counseling Psychology from Nova Southeastern University and is also a Reiki Practitioner. These complementary disciplines uniquely allow Dr. Jeff to promote healing of mind, body,and spirit. Dr. Jeff, who lived in Japan for several years, also cultivated his spiritual practice through meditation, Zen, and martial arts. His calm demeanor puts any patients at ease immediately, providing a safe and nurturing environment while his ability to keenly listen and communicate to his patients provides the necessary feedback to ensure that mutual goals toward health are achieved. As a comprehensive holistic practitioner, Dr. Jeff evaluates all levels of a patient’s condition–taking into consideration not only the symptoms presented but also lifestyle, dietary habits, and emotional state. Dr. Jeff believes every person is unique as well as the manifestation of his or her condition, thus his treatments are custom tailored to the individual needs, in order to achieve the best possible outcome. Employing a natural, drug-free, and a safe medical system in use for thousands of years, Dr. Jeff combines his expertise in NSEV Healing acupuncture, traditional acupuncture, herbs, meditation, psychology and nutrition to activate the healing process. By having Dr. Jeff as your trusted Acupuncture Physician, a patient is ensured to be supported every step of the way on his or her journey towards Optimal Health. Prized for his knowledge and expertise in NSEV Healing acupuncture, Dr. Jeff proudly joins d2d to share with the community his integrative approach to holistic healing. Based in Miami Beach, Florida and comprised of the most talented healers and wellness experts in South Florida, we offer unique tailored concierge holistic health services and produce community outreach wellness events as well as programming for corporate wellness.